Contrary to what you may believe, the iPhone 4S was not the last project Jobs worked on. In fact, the next generation iPhone (iPhone 5?) was the last project Steve Jobs worked on before departing from this world. For this article’s sake, I will refer to the next iPhone as the iPhone 5. With that, and the fact that it was the last project Steve worked on, its expected that this upcoming generation will be a complete overhaul of the phone with possibility of Long Term Evolution, or LTE, often referred to as 4G. I believe its safe to assume that the iPhone 5 will include a bigger screen and a slimmer profile just like it has been rumored in the past numerous times. It was said that Steve spent his last days working on this project; leaving the iPhone 4S to other teammates as he knew his time was short. 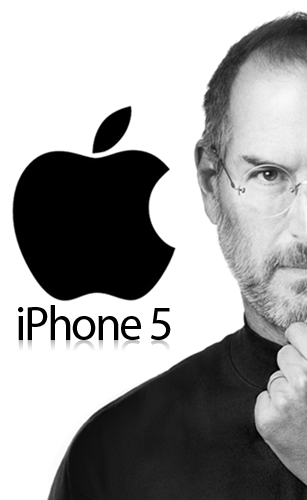 Ashok Kumar, an analyst at Rodman & Renshaw, expects that the iPhone 5 will become a ‘cult classic’ due to the fact that it was Steve’s last project. With that, I expect Apple iPhone sales will sky rocket and surpass the current iPhone 4S launch day sales. It may be safe to say that the iPad 3 could pave the way for possible hardware upgrades coming to the iPhone 5. We could see the likes of a new processor, memory capacity, an improved gyroscope and accelerometer etc. Keep in mind it is purely speculation at this point in time, but we know it will be a major cosmetic and internal upgrade to what Apple is providing currently. Personally I look forward to updates to iOS and how they will support the new hardware and what new advancements it will bring. Will we see iOS 6 by then? Or will we remain on iOS 5 with some tweaks? With talks about how large this project was, its understandable why the iPhone 4S remained as a subtle upgrade to its predecessor. The iPhone 5 should live up to the hype and continue to be the best phone on the market. Expect to see the newest generation of iPhone some time around Apple’s Developer Conference next Summer. Let’s hope that service providers will allow an upgrade option outside of the normal guidelines for those of us who have upgraded to the iPhone 4S on a 2-year contract. I guess we will have to wait and see! Oh what a long wait it will be!